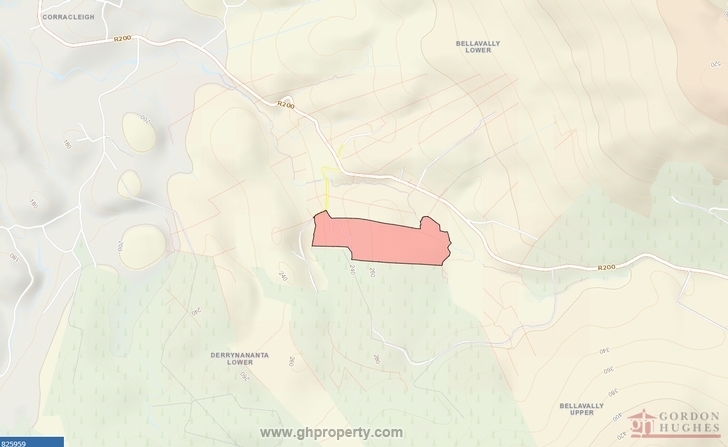 Gordon Hughes Estate Agents are pleased to bring to market this parcel of land (CN204) comprising of approx 11 hectares or 27.17 acres of land. 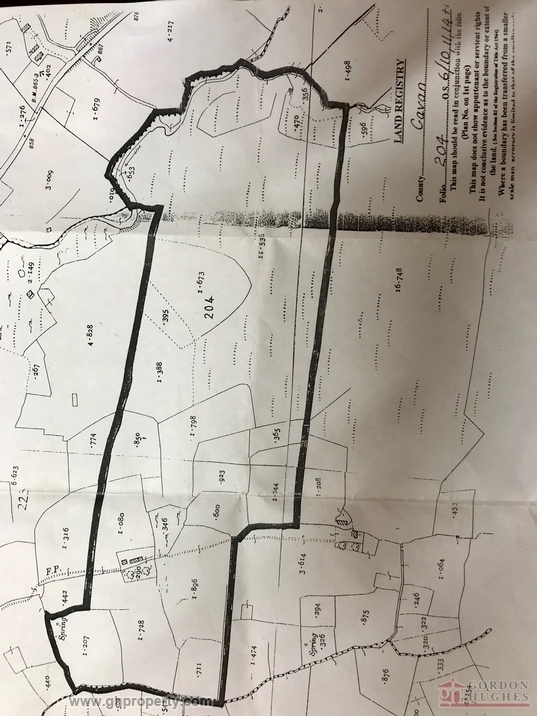 Located midway between Swanlinbar & Dowra close to the R200 the property is in 1 lot & also has the option of purchasing with a derelict cottage & outbuildings sited on an additional 1 acre (Price is an additional €25,000 to inc cottage on 1 acre). Ideally suited for forestry use or someone seeking a renovation property on a large parcel of land. Viewing Strictly by Appointment Only with Selling Agent. From Ballinamore head out the R202 in the direction of Enniskillen for approx 13km until you see a sign directing you left for Glangevlin (R200). Continue along this road for a further 9.4km until you see the entrance to the property on your left hand side.